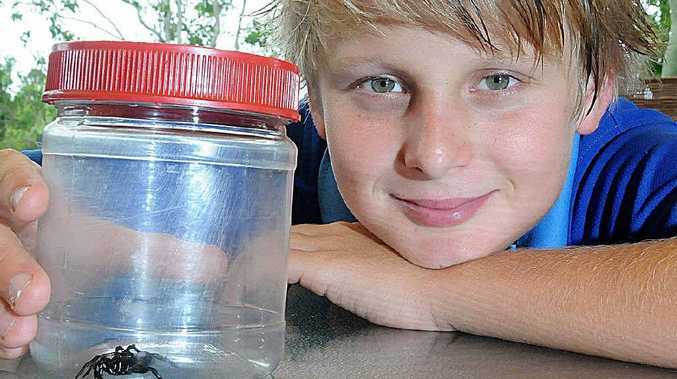 REGARDLESS of whether the spider was an eastern mouse or a funnel-web, it certainly was not a friendly visitor when it crawled into Jarred Hulme's grandparents' house at Calico Ck. Grandad Graham Hill initially thought the deadly-looking spider was the latter of the two because of the similarities between them. After a bit of online research, Mr Hill discovered the fang-baring, leg-rearing arachnid was a mouse spider - more common to this area than people realise. He thought it important to inform readers, especially parents with young children, of the dangers lurking in their homes and backyards. "It's a horrible looking thing," Mr Hill said. "It looks so close to a funnel-web, it's not funny." There are 11 species of mouse spiders. The two common to Australia are the eastern mouse spider, found in east coastal and highland regions, and the red-headed mouse spider, found across the continent mainly west of the Great Dividing Range. Like their feisty funnel-web cousins and unlike other spiders, which run and hide at the first sign of a threat, mouse spiders rear up on their hind legs and display large needle-sharp fangs when they feel threatened. A small number of cases of male mouse spider bites have been medically documented, with symptoms ranging from localised pain to uncontrollable muscle twitching, vomiting and profuse sweating. It has big fangs, is rather aggressive and will attack when provoked. There are two common types in Australia: eastern mouse and red-headed mouse. 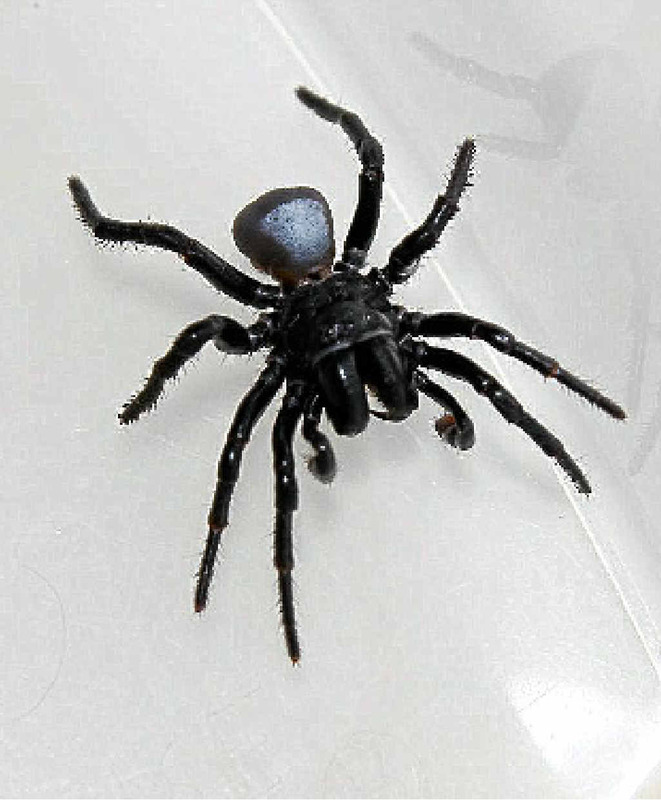 Spiders commonly mistaken for mouse spiders are trapdoor and funnel-web spiders. 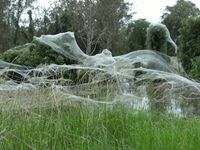 When biting a person it normally gives a dry bite with no venom injected, but some have very toxic venom potentially as dangerous as the Sydney funnel-web. 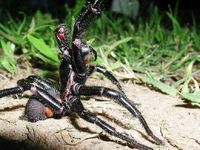 Few cases of envenomation have been reported, the most serious from the bite of a male eastern mouse spider in south-east Queensland. Females rarely leave their burrows. Males will leave to search for a mate and mating normally takes place inside the female's burrow. It doesn't have great eyesight and relies on its sense of vibration. Web is spun across the floor at the entrance of the burrow so it can feel prey passing by, then it lunges out to paralyse and kill its victim.